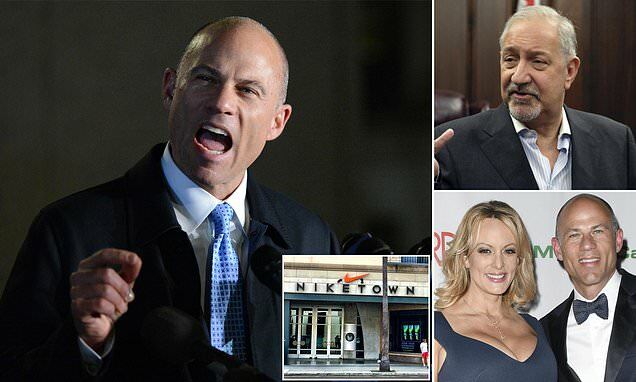 Former Stormy Daniels attorney Michael Avenatti has been released on $300,000 bail after he was charged with attempting to extort $25million from Nike, and has reportedly been barred from speaking to his alleged co-conspirator and celebrity attorney Mark Geragos who has represented Colin Kaepernick and is currently representing Jussie Smollett. The charges are the result of Avenatti's alleged attempt to receive millions in payments from Nike based on damning information obtained by his client, a college basketball coach. A source who spoke with DailyMail.com said that the lawyer is Geragos, who has had a long career representing high-profile clients including Michael Jackson, Colin Kaepernick and Jussie Smollett.